PhD Candidate at University of Cologne; MA Global Political Economy at University of Sussex, UK, 2008; BA International Relations at Dresden University, Germany, 2006. At BICC, Marie has conducted research on resource-related conflicts in Africa (Côte d’Ivoire, DR Congo, Nigeria), with a focus on grievances relating to mining and oil investments and possibilities for improving the governance of resource extraction. She is currently pursuing her PhD on nativist discourses world-wide and their links to displacements from land in Kenya and Côte d’Ivoire in the framework of the DFG-funded Collaborative Research Center “Future Rural Africa”, in project B03 - “Violent futures? Contestations along the frontier”. Earlier, Marie has led a research project on “Artisanal miners in developing countries—DR Congo and Peru" which investigated the limits and possibilities of certification initiatives aimed at “conflict-free” or “fair” minerals. As International Coordinator of the Fatal Transactions network of European research institutes and NGOs, she was an observer to the Kimberley Process for the certification of rough diamonds. 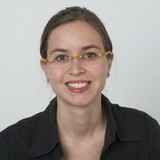 Müller-Koné, M., & Guesnet, L. (2015, April). How to Enforce Due Diligence? Making EU-legislation on ‘Conflict Minerals’ Effective (BICC Policy Brief series No. 2/2015). Bonn: BICC. Müller-Koné, M., & Hütz-Adams, F. (Eds.). (2012, September). Auf der Suche nach dem sauberen Gold: Kleinbergbau von Gold in Peru und DR Kongo (Brief series No. 46). Bonn: BICC. Guesnet, L., Müller-Koné, M., & Schure, J. (2009, November). Natural Resources in Côte d’Ivoire: Fostering Crisis or Peace? The Cocoa, Diamond, Gold and Oil Sectors (Brief series No. 40). Bonn: BICC. Bernarding, N., Guesnet, L., & Müller-Koné, M. (2015, May). No rebel without a cause. Shifting the debate about conflict minerals in eastern DRC (BICC Working Paper series No. 2/2015). Bonn: BICC.